This article is about the variety of Persian spoken in Afghanistan. For other uses, see Dari (disambiguation). native language of 25–50% of the Afghan population. Dari (Dari: دری‎ [dæˈɾiː]) or Dari Persian (Dari: فارسی دری‎ [fɒːɾsije dæˈɾiː]) is the variety of the Persian language spoken in Afghanistan. Dari is the term officially recognized and promoted since 1964 by the Afghan government for the Persian language. Hence, it is also known as Afghan Persian in many Western sources. As defined in the Constitution of Afghanistan, it is one of the two official languages of Afghanistan; the other is Pashto. Dari is the most widely spoken language in Afghanistan and the native language of approximately 25–50% of the population, serving as the country's lingua franca. The Iranian and Afghan types of Persian are mutually intelligible, with differences found primarily in the vocabulary and phonology. By way of Early New Persian, Dari Persian, like Iranian Persian and Tajik, is a continuation of Middle Persian, the official religious and literary language of the Sassanian Empire (224–651 CE), itself a continuation of Old Persian, the language of the Achaemenids (550–330 BC). In historical usage, Dari refers to the Middle Persian court language of the Sassanids. Dari is a name given to the New Persian language since the 10th century, widely used in Arabic (compare Al-Estakhri, Al-Muqaddasi, and Ibn Hawqal) and Persian texts. Since 1964, it has been the official name in Afghanistan for the Persian spoken there. In Afghanistan, Dari refers to a modern dialect form of Persian that is the standard language used in administration, government, radio, television, and print media. Because of a preponderance of Dari native speakers, who normally refer to the language as Fārsi (فارسی; "Persian"), it is also known as "Afghan Persian" in some Western sources. Dari, spoken in Afghanistan, should not be confused with Dari, also called Gabri, of Iran, a language of the Central Iranian subgroup, spoken in some Zoroastrian communities. The origin of Dari comes from the Middle Persian which was spoken during the rule of the Sassanid dynasty. In general, Iranian languages are known from three periods, usually referred to as Old, Middle, and New (Modern) periods. These correspond to three eras in Iranian history, the Old era being the period from some time before, during and after the Achaemenid period (that is, to 300 BC), the Middle Era being the next period, namely, the Sassanid period and part of the post-Sassanid period, and the New era being the period afterwards down to the present day. But it is thought that the first person in Europe to use the term Deri for Dari was Thomas Hyde, at Oxford, in his chief work, Historia religionis veterum Persarum (1700). "the Zebani Deri(Zeban i Deri or Zaban i Dari = the language of Deri), or the language of the court, and the Zebani Farsi, the dialect of Persia at large (...)"
Qandi Parsi or [Ghand e Parsi] (Rock candy of Parsi) is a metaphor for the Persian language and poetry. عذب is an adjective of uzūbat or ozubat عذوبت English: bliss or delight, flavor or sweetness; in language, literature and poetry uzubat means euphonious, melody or phonaesthetics. Persian replaced the Central Asian languages of the Eastern Iranics. Ferghana, Samarkand, and Bukhara were starting to be linguistically Darified in originally Khorezmian and Soghdian areas during Samanid rule. Dari Persian spread around the Oxus River region, Afghanistan, and Khorasan after the Arab conquests and during Islamic-Arab rule. The replacement of the Pahlavi script with the Arabic script in order to write the Persian language was done by the Tahirids in 9th century Khorasan. The Dari Persian language spread and led to the extinction of Eastern Iranian languages like Bactrian, Khwarezmian with only a tiny amount of Sogdian descended Yaghnobi speakers remaining among the now Persian-speaking Tajik population of Central Asia, due to the fact that the Arab-Islamic army which invaded Central Asia also included some Persians who later governed the region like the Samanids. Persian was rooted into Central Asia by the Samanids. Persian phased out Sogdian. The role of lingua franca that Sogdian originally played was succeeded by Persian after the arrival of Islam. Persian was a major language of government and diplomacy until the middle of the 1700s. Subsequently the strength of Persia declined relative to the industrializing states of Europe (many of whom pursued imperialist policies in the regions where Persian was spoken). Dari, which is sometimes called Farsi (Persian), is one of the two official languages of Afghanistan (the other being Pashto). In practice though, it serves as the de facto lingua franca among the various ethno-linguistic groups. Dari is spoken natively by about twenty-five percent to more than a half of the population of Afghanistan as a first language. Tajiks who comprise approximately 27% of the population are the primary speakers, followed by Hazaras (9%) and Aymāqs (4%). Moreover, many Pashtuns living in Tajik and Hazara concentrated areas also use Dari as a first language. The World Factbook states that 50% of the Afghan population speaks Dari language. 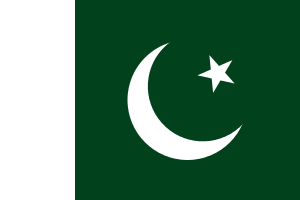 About 2.5 million Afghans in Iran and Afghans in Pakistan, part of the wider Afghan diaspora, also speak Dari as one of their primary languages. Dari dominates the northern, western and central areas of Afghanistan, and is the common language spoken in cities such as Mazar-i-Sharif, Herat, Fayzabad, Panjshir, Bamiyan, and the Afghan capital of Kabul where all ethnic groups are settled. Dari-speaking communities also exist in southwestern and eastern Pashtun-dominated areas such as in the cities of Ghazni, Farah, Zaranj, Lashkar Gah, Kandahar, and Gardez. Dari has contributed to the majority of Persian borrowings in other Asian languages, such as Urdu, Hindi, Punjabi, Bengali, etc., as it was the administrative, official, cultural language of the Persocentric Mughal Empire and served as the lingua franca throughout the South Asian subcontinent for centuries. Often based in Afghanistan, Turkic Central Asian conquerers brought the language into South Asia. The basis in general for the introduction of Persian language into the subcontinent was set, from its earliest days, by various Persianized Central Asian Turkic and Afghan dynasties. The sizable Persian component of the Anglo-Indian loan words in English and in Urdu therefore reflects the Dari pronunciation. For instance, the words dopiaza and pyjama come from the Dari pronunciation; in the Iranian Persian they are pronounced do-piyāzeh and pey-jāmeh. Persian lexemes and certain morphological elements (e.g., the ezāfe) have often been employed to coin words for political and cultural concepts, items, or ideas that were historically unknown outside the South Asian region, as is the case with the aforementioned "borrowings". The Dari language has a rich and colorful tradition of proverbs that deeply reflect Afghan culture and relationships, as demonstrated by U.S. Navy Captain Edward Zellem in his bilingual books on Afghan Dari proverbs collected in Afghanistan. There are phonological, lexical, and morphological differences between Afghan Persian and Iranian Persian. There are no significant differences in the written forms, other than regional idiomatic phrases. The merging of majhul vowels "ē" / "ī" and "ō" / "ū" into "ī" and "ū" respectively in Iranian Persian, whereas in Afghan Persian, they are still kept separate. For instance, the identically written words شیر 'lion' and 'milk' are pronounced the same in Iranian Persian as /šīr/, but /šēr/ for 'lion' and /šīr/ for 'milk' in Afghan Persian. The long vowel in زود "quick" and زور "strong" is realized as /ū/ in Iranian Persian, in contrast, these words are pronounced /zūd/ and /zōr/ respectively by Persian speakers in Afghanistan. The treatment of the diphthongs of early Classical Persian "aw" (as "ow" in Engl. "cow") and "ay" (as "i" in English "ice"), which are pronounced [ow] (as in Engl. "low") and [ej] (as in English "day") in Iranian Persian. Dari, on the other hand, is more archaic, e.g. نوروز 'Persian New Year' is realized as /nowrūz/ in Iranian and /nawrōz/ in Afghan Persian, and نخیر 'no' is /naχejr/ in Iranian and /naχajr/ in Afghan Persian. Moreover, [ow] is simplified to [o] in normal Iranian speech, thereby merging with the short vowel /u/ (see below). This does not occur in Afghan Persian. The high short vowels /i/ and /u/ tend to be lowered in Iranian Persian to [e] and [o]. The pronunciation of the labial consonant (و), which is realized as a voiced labiodental fricative [v], but Afghan Persian still retains the (classical) bilabial pronunciation [w]; [v] is found in Afghan Persian as an allophone of [f] before voiced consonants. The convergence of voiced uvular stop [ɢ] (ق) and voiced velar fricative [ɣ] (غ) in Iranian Persian (presumably under the influence of Turkic languages like Azeri and Turkmen), is still kept separate in Dari. The realization of short final "a" (ه-) as [e] in Iranian Persian. The realization of short non-final "a" as [æ] in Iranian Persian. [æ] and [e] in word-final positions are separate in Dari, [e] is a word-final allophone of [æ] in Iranian Persian. There are some words that differ in Persian-Dari as to Persian-Farsi. Some examples are listed below. The usage of the above words differs in the Persian languages. Gap zadan (گپ زدن) is an old Persian word. Harf zadan (حرف زدن) is from Arabic word Harf and auxiliary zadan. Gapidan (گپيدن), "to speak", was correct, but is now considered outdated. Dari retains the use of Gap zadan (گپ زدن) for conversations whereas Harf zadan (حرف زدن) is almost always used in Iran. Iranians seldom use gap zadan (گپ زدن) in informal conversations. The dialects of Dari spoken in Northern, Central and Eastern Afghanistan, for example in Kabul, Mazar, and Badakhshan, have distinct features compared to Iranian Persian. However, the dialect of Dari spoken in Western Afghanistan stands in between the Afghan and Iranian Persian. For instance, the Herati dialect shares vocabulary and phonology with both Dari and Iranian Persian. Likewise, the dialect of Persian in Eastern Iran, for instance in Mashhad, is quite similar to the Herati dialect of Afghanistan. The Kabuli dialect has become the standard model of Dari in Afghanistan, as has the Tehrani dialect in relation to the Persian in Iran. Since the 1940s, Radio Afghanistan has been broadcasting its Dari programs in Kabuli Dari, which ensured the homogenization between the Kabuli version of the language and other dialects of Dari spoken throughout Afghanistan. Since 2003, the media, especially the private radio and television broadcasters, have carried out their Dari programs using the Kabuli variety. Successive governments of Afghanistan have promoted New Persian as an official language of government since the time of the Delhi Sultanate (1206–1526), even as those governments were dominated by Pashtun people. Sher Ali Khan of the Barakzai dynasty (1826–1973) first introduced the Pashto language as an additional language of administration. The Persian spoken in Afghanistan developed independently from Middle Persian, which was introduced along with Arabic during the Islamization of Afghanistan. The local name for the Persian variety spoken in Afghanistan was officially changed from Farsi to Dari, meaning "court language", in 1964. Within their respective linguistic boundaries, Dari and Pashto are the medium of education. 1 2 3 4 5 6 7 "CIA – The World Factbook, "Afghanistan", Updated on 8 July 2010". Cia.gov. Retrieved 19 August 2013. 1 2 3 4 "Dari". UCLA International Institute: Center for World Languages. University of California, Los Angeles. Retrieved 10 December 2010. ↑ "Iranica, "Afghanistan: v.Languages", Table 11". Retrieved 19 August 2013. ↑ Hammarström, Harald; Forkel, Robert; Haspelmath, Martin; Bank, Sebastian, eds. (2016). "Dari". Glottolog 2.7. Jena: Max Planck Institute for the Science of Human History. ↑ Hammarström, Harald; Forkel, Robert; Haspelmath, Martin; Bank, Sebastian, eds. (2016). "Aimaq". Glottolog 2.7. Jena: Max Planck Institute for the Science of Human History. ↑ Hammarström, Harald; Forkel, Robert; Haspelmath, Martin; Bank, Sebastian, eds. (2016). "Hazaragi". Glottolog 2.7. Jena: Max Planck Institute for the Science of Human History. 1 2 3 4 5 Lazard, G. "Darī – The New Persian Literary Language", in Encyclopædia Iranica, Online Edition 2006. 1 2 "Documentation for ISO 639 identifier: prs". Sil.org. 18 January 2010. Retrieved 19 August 2013. 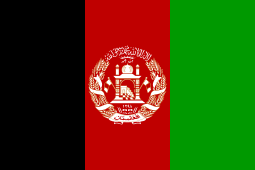 ↑ "The Afghans – Language Use". United States: Center for Applied Linguistics (CAL). 30 June 2002. Retrieved 24 October 2010. ↑ in Frye, R. N., The Cambridge History of Iran, Vol. 4, pp. 595–632, Cambridge: Cambridge University Press. ↑ ""Parsi-Dari" Ethnologue". Ethnologue.org. 19 February 1999. Retrieved 19 August 2013. ↑ ""Dari, Zoroastrian" Ethnologue". Ethnologue.org. 19 February 1999. Retrieved 19 August 2013. ↑ "Farsi, the most widely spoken Persian Language, a Farsi Dictionary, Farsi English Dictionary, The spoken language in Iran, History of Farsi Language, Learn Farsi, Farsi Translation". Farsinet.com. Retrieved 26 August 2012. ↑ "Persian alphabet, pronunciation and language". Omniglot.com. Retrieved 26 August 2012. 1 2 UCLA, Language Materials Projects. "Persian Language". Iranchamber.com. Retrieved 26 August 2012. ↑ Thomas Hyde (1760). Veterum Persarum et Parthorum et Medorum Religionis Historia. E Typographeo Clarendoniano. Retrieved 12 July 2013. John Richardson (1810). Sir Charles Wilkins, David Hopkins, ed. A vocabulary, Persian, Arabic, and English: abridged from the quarto edition of Richardson's dictionary. Printed for F. and C. Rivingson. p. 643. Retrieved 6 July 2011. ↑ "تمهید". Ganjoor (in Persian). Ganjoor. 2013. Retrieved 12 July 2013. ↑ Jafri, Sardar (January–February 2000). "Hafiz Shirazi (1312-1387-89)". Social Scientist. Social Scientist. 28 (1/2): 12–31. doi:10.2307/3518055. Retrieved 12 July 2013. ↑ Abbadullah Farooqi (2013). "THE IMPACT OF KHAWAJA HAFIZ ON IQBAL'S THOUGHT". Iqbal. Government of Pakistan. Retrieved 12 July 2013. ↑ Kirill Nourzhanov; Christian Bleuer (8 October 2013). Tajikistan: A Political and Social History. ANU E Press. pp. 27–. ISBN 978-1-925021-16-5. ↑ Kirill Nourzhanov; Christian Bleuer (8 October 2013). Tajikistan: A Political and Social History. ANU E Press. pp. 30–. ISBN 978-1-925021-16-5. ↑ Ira M. Lapidus (22 August 2002). A History of Islamic Societies. Cambridge University Press. pp. 127–. ISBN 978-0-521-77933-3. ↑ Ira M. Lapidus (29 October 2012). Islamic Societies to the Nineteenth Century: A Global History. Cambridge University Press. pp. 255–. ISBN 978-0-521-51441-5. ↑ Ira M. Lapidus (29 October 2012). Islamic Societies to the Nineteenth Century: A Global History. Cambridge University Press. pp. 256–. ISBN 978-0-521-51441-5. ↑ Paul Bergne (15 June 2007). The Birth of Tajikistan: National Identity and the Origins of the Republic. I.B.Tauris. pp. 5–. ISBN 978-1-84511-283-7. ↑ Paul Bergne (15 June 2007). The Birth of Tajikistan: National Identity and the Origins of the Republic. I.B.Tauris. pp. 6–. ISBN 978-1-84511-283-7. ↑ Josef W. Meri; Jere L. Bacharach (2006). Medieval Islamic Civilization: L-Z, index. Taylor & Francis. pp. 829–. ISBN 978-0-415-96692-4. ↑ Sigfried J. de Laet; Joachim Herrmann (1 January 1996). History of Humanity: From the seventh century B.C. to the seventh century A.D. UNESCO. pp. 468–. ISBN 978-92-3-102812-0. ↑ "Languages of Afghanistan". SIL International. Ethnologue: Languages of the World. 2005. Archived from the original on 30 January 2009. Retrieved 16 September 2010. ↑ "Dari language". Encyclopædia Britannica Online. Retrieved 7 December 2010. ↑ "Dari language, alphabet and pronunciation". Omniglot.com. Retrieved 26 August 2012. ↑ "South Asian Sufis: Devotion, Deviation, and Destiny". Retrieved 23 April 2015. ↑ Zellem, Edward. 2012. "Zarbul Masalha: 151 Afghan Dari Proverbs". Charleston: CreateSpace. ↑ Zellem, Edward. 2012. "Afghan Proverbs Illustrated". Charleston: CreateSpace. ↑ "Ethnologue report for language code: prs". Ethnologue.com. Retrieved 26 August 2012. ↑ A. Pisowicz, Origins of the New and Middle Persian phonological systems (Cracow 1985), p. 112-114, 117. ↑ Declassified, Zaher said there would be, as there are now, two official languages, Pashto and Farsi, though the latter would henceforth be named Dari. Lazard, G. "Darī – The New Persian Literary Language" in Encyclopædia Iranica Online Edition. Phillott, Douglas Craven (1919). Higher Persian grammar for the use of the Calcutta University, showing differences between Afgan and modern Persian; with notes on rhetoric. Calcutta: Baptist Mission Press. Farhadi, A. G. R.('Abd-ul-Ghafur Farhadi)(Abd-ul-ghafûr Farhâdi) (1955) Le Persan Parlé en Afghanistan: Grammaire du Kâboli Accompagné d'un Recueil de Quatrains Populaires de la Région de Kâbol, Centre national de la recherche scientifique or Librairie C. Klincksieck, Paris. Zellem, Edward. 2015. "Zarbul Masalha: 151 Afghan Dari Proverbs, 3rd edition". Charleston: CreateSpace. Zellem, Edward. 2012. "Afghan Proverbs Illustrated". Charleston: CreateSpace.